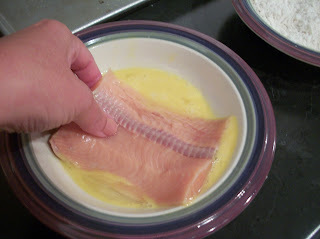 I am always on the look out for new ways to prepare salmon. I think I am eating a record amount of salmon this summer, and so new preparations are key. This is a really fun and different way to eat fish, and takes you to the tropics with the sweetness and crunch of coconut. It's also very fast, which is key to healthy eating during the week. and salt together in a shallow bowl. Set aside. Lay flat on a rimmed baking sheet. 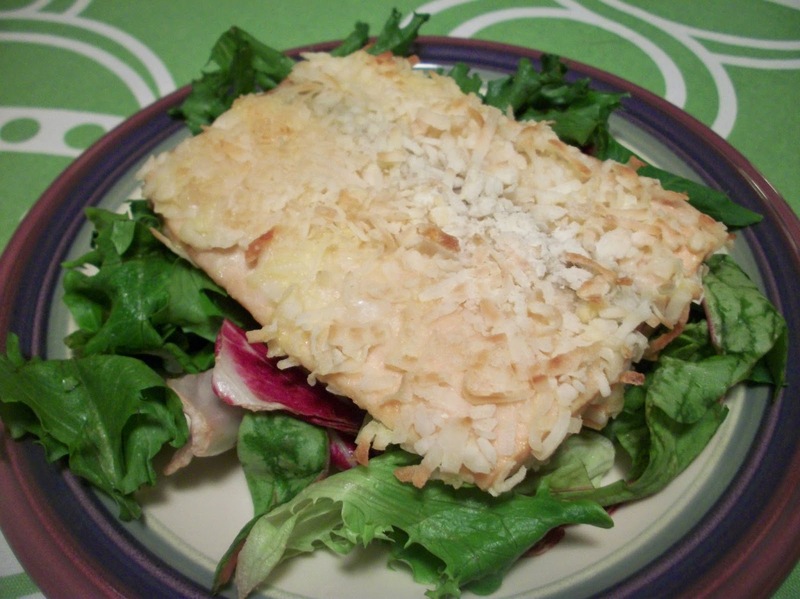 Serve on top of salad, or with a green vegetable. Find more great stuff at Mouthwatering Monday, Inspiration Monday, Mix it Up, Melt in Your Mouth, Totally Talented Tuesday, Create Link Inspire, Clever Chicks, Try a New Recipe, Share Your Stuff, Tasty Tuesday, Tickle my Tastebuds. 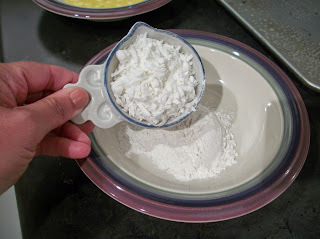 Mix the flour, shredded coconut, and salt together in a shallow bowl. Set aside. 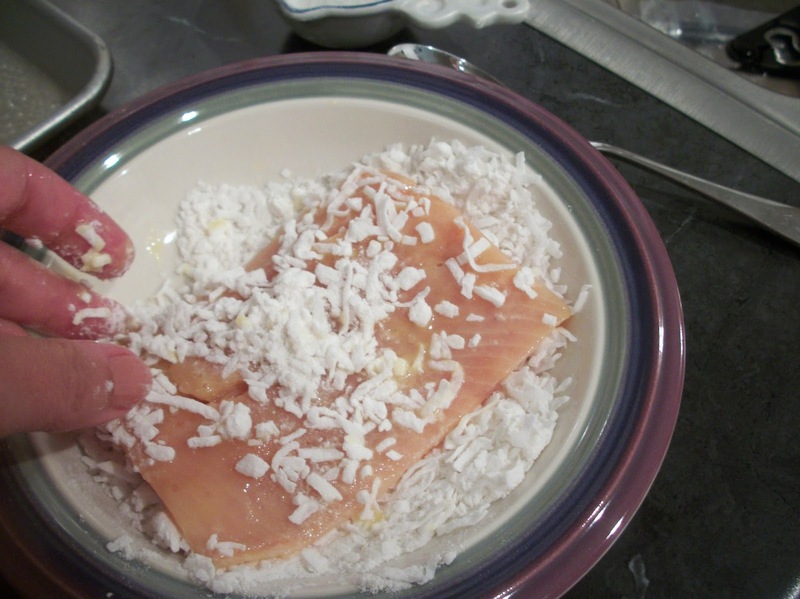 Dip the salmon in the egg and coat both sides with the coconut mixture. Lay flat on a sheet pan. 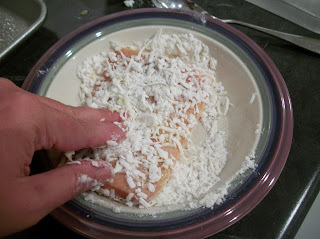 Bake the salmon at 375 for 12-16 minutes, flipping once, until the salmon flakes easily with a fork and the coconut crust is slightly browned and crisp. 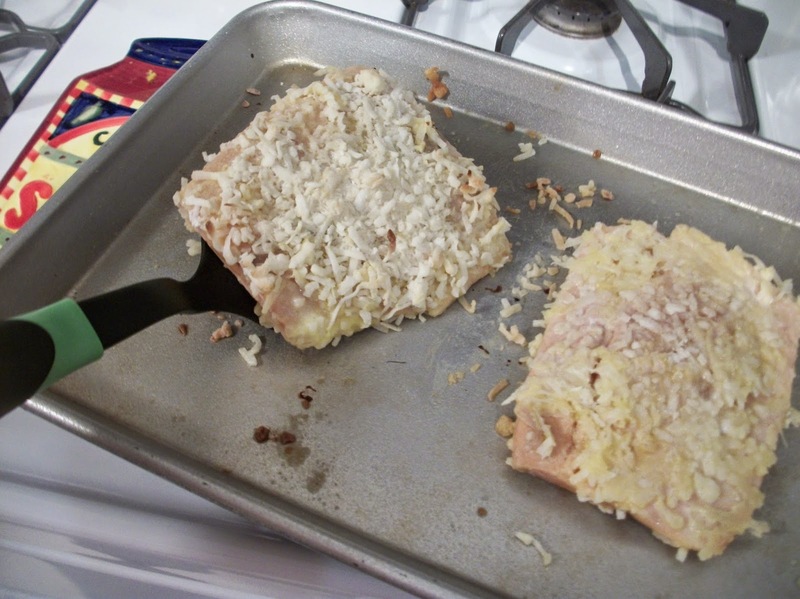 Note: to make the crust crispier and add more color, broil the salmon for the last 5 minutes of the cooking process. My husband would love this! Looks delicious!! Thank you so much for linking up at Tasty Tuesday! Your recipe has been pinned to the Tasty Tuesday Pinterest board! Please join us again this week!